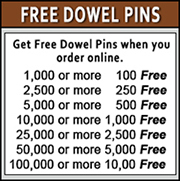 Walnut Dowel Rods - Lowest Prices & High Quality from California Dowel & Turnings, Inc. These dowels are made of a stronger hardwood, Walnut. The color tends to be medium to darker brown. 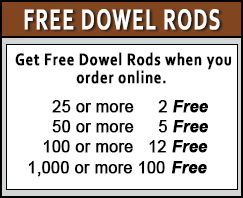 You can paint or stain these dowel rods that have been sanded to a smooth finish. If you need additional info on Walnut, check below in the descriptions.